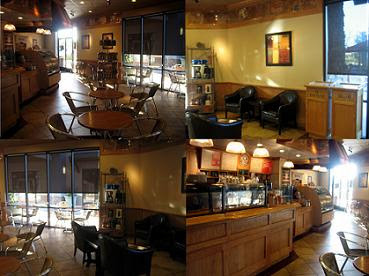 I had to do a rush blog of Coffee Bean. On Sunday I went to Coffee Bean with Apple Jacks after dinner and saw that they were advertising for a free drink. Today, TUESDAY 6/24/08, they are giving away a small size of their New Yogurt Drink. I personally don't think it will be that big of a hit, but it's FREE so why not give it a try. 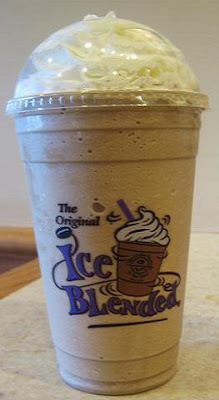 My favorite drink there is of course the Ice Blended Vanilla. It's a very refreshing drink on a HOT HOT HOT day. I like Coffee Bean A LOT more than Starbucks because I am not a huge fan of strong coffee. I like my drinks light and smooth. So if you are by a Coffee Bean today around 4-5PM then be sure to stop in for your free Yogurt Smoothie. It might be better than you think and why not get one when it's free. They have a variety of flavors and the small cup is 16oz. I believe. ^_^ ENJOY!